Divi is one of the most popular multi-purpose theme available right now. Its powerful features like the drag-and-drop builder, powerful theme options panel, and lots of readymade designs will allow you to create any type of website you want. Full documentation with a dedicated forum. Layouts only work when the Divi is activated. Take times to understand all the features. Final Thoughts – Should You Buy Divi Theme? 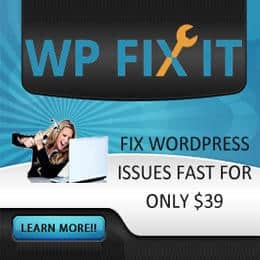 Thousands of WordPress themes are out there. But only a few of these have become so much popular as Divi. This flagship theme from Elegant Themes was the original trendsetter for today’s multi-purpose themes. In today’s post, I am going to introduce you to this widely used theme. By the time you finish this in-depth review, you will have a complete possibilities of the Divi theme. Powered by Divi Builder, an incredibly powerful front-end editor. 46 content elements to create different layouts. 20+ readymade layouts to choose from. Import and export layouts from different sources. Fully responsive editing with live preview. Fully featured theme customizer section. Lots of header and footer styling options. Built-in split-testing and CRO features. Full RTL support with readymade translation to 32 languages. The theme options panel includes all the settings options for the theme. You can access this by going to Divi > Theme Options from the dashboard. As you can see, the options panel is divided into several sections. Let’s discuss these sections one by one. General: This section includes separate options to upload your logo, favicon, fixed navigation bar, choose the default color palette, enable the back to top button, smooth scrolling, and so on. You will also find options to enable social media links along with the social media URL’s. The custom CSS field allows you to apply your own styles. Navigation: This section offers the options to exclude specific pages and categories from the navigation, show drop-down menu, display the home link, define the number of drop-down tiers, etc. Layout: You can define the single post and page layout options in this section. For the single post, you can choose to show or hide the author, date, categories, comments, etc. You will also find separate options to enable or disable comments on the posts and pages. Ads: This is the section where you can enable the 468X60 ad banner, provide the image, URL, and AdSense code for the ad spot. SEO: The SEO section includes different SEO configuration options for the homepage, single post, and index page. Some notable options include enabling custom title, meta descriptions, meta keywords, canonical URL’s, defining the separator, etc. Integration: This section allows you to enable custom code for the header, body, top and bottom of the single posts. You will also find separate code input fields for each of these places. Updates: This section allows you to enable custom code for the header, body, top and bottom of the single posts. You will also find separate code input fields for each of these places. The latest edition of Divi Theme is Divi 3.1. It comes up with lot more possibilities. To check the Divi 3.1 in action, watch this sneak peak video. Divi Builder is the most important feature that defines the whole Divi theme. 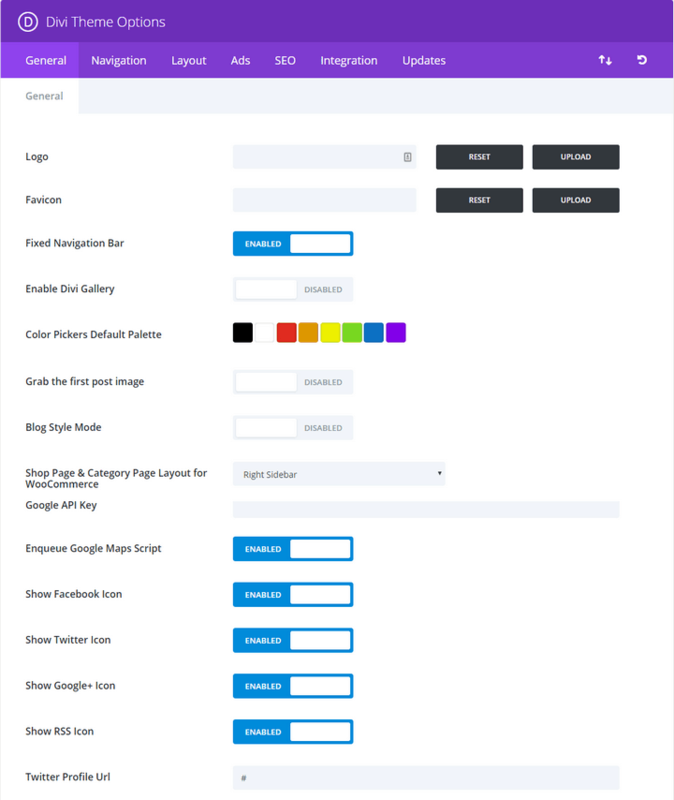 The drag-and-drop page builder enables you to create any kind of post and page layout without having to write any code. There are 46 content modules including the blog, CTA button, contact form, sidebar, portfolio, gallery, divider, accordion, blurbs, pricing table, slider, audio, video, testimonial, image, login, map, and so on. You can use any of these modules in combination with the three section types and 20 row types to create the exact layout you want. 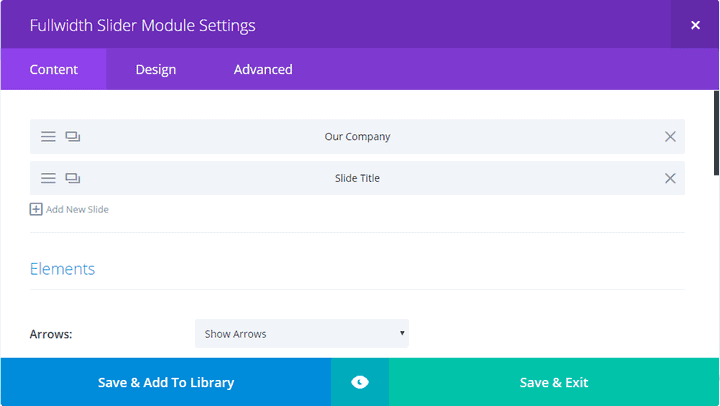 Each module comes with three settings – Content, Design, and Advanced. Among these, content includes the options related to the content of the module. Design enables you to control color, spacing, background, typography, margin, padding and other styling options. Advanced allows you to add custom CSS ID, class, or provide custom CSS to various elements of the page. Divi Builder offers precise control over each element of your layout. There are dedicated buttons to make duplicates of any module, row, or section. You can disable any of these to hide that element on the front-end. It is possible to lock an item to prevent further editing. You can copy any element and paste it into the same layout or use the copied elements on other layouts. As there are unlimited number of un-dos and re-dos available, you can easily restore any action you want. There is an integrated library with the Divi Builder. It includes some ready-made layouts and also enables you to save an unlimited number of layouts, section, row, or module. You can edit, delete, export, or import any of these items. Divi comes with several predefined layouts. You can use these layouts to get started with the various pages of your website. 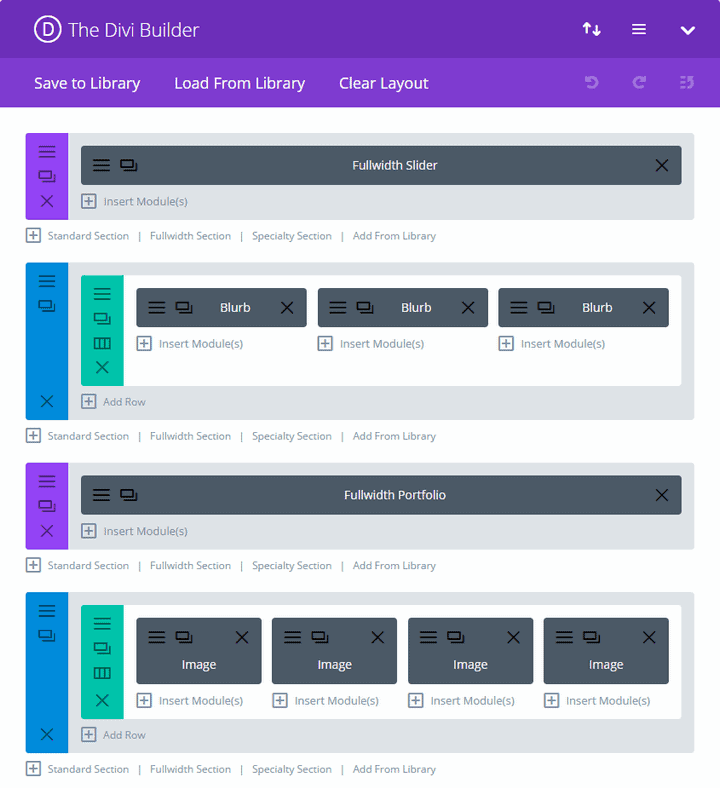 You will find the layouts inside the “Load From Library” section of the Divi Builder. There are various layouts to help you create a case study, about us, contact us, team, sales page, coming soon, landing page, and various styles for the project, blog, shop, home page, and portfolio pages. You can use any layout by clicking the “Load” button. 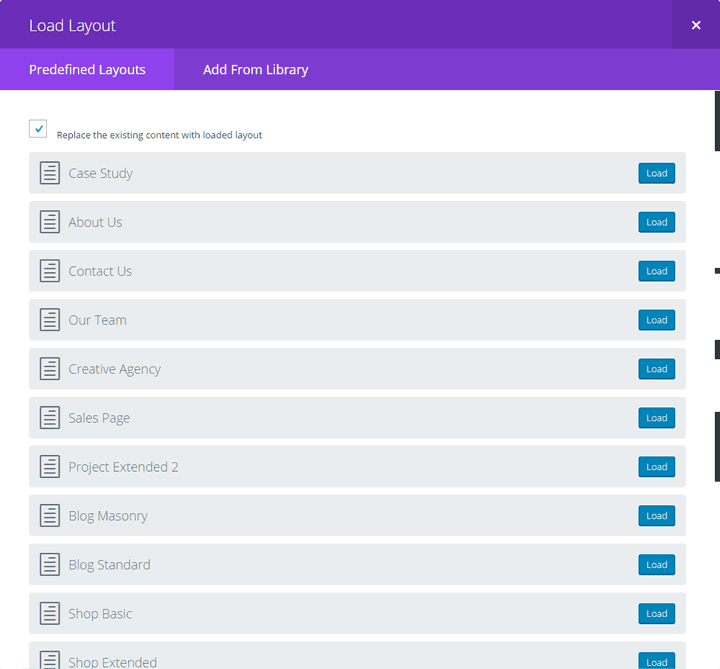 You will have the option to load the layout and replace any existing content. It is also possible to tweak the layout according to your requirements. You can save the tweaked layout to the library for future usage. Elegant Themes offers several ways to get help for the Divi theme. 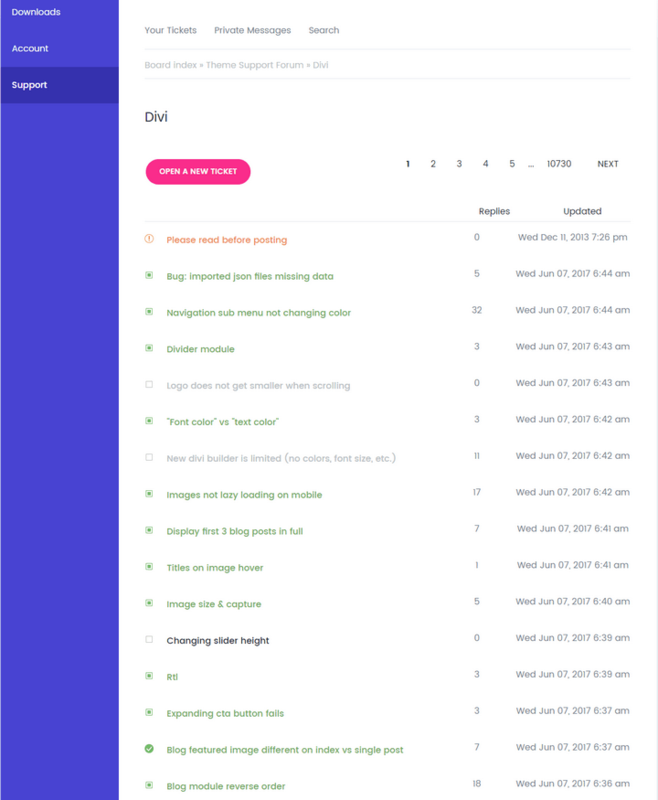 First of all, your account dashboard a few links to the common issues like installing Divi, using the Divi Builder, configuring the theme options, using the Divi library, and a link to explore the full documentation. There is a dedicated forum to get help for your Divi problems. The forum already has thousands of threads discussing various issues related to Divi. Therefore, it is likely that you can find some guidelines by performing a search in the forum. Priced at $89 per year, this pack provides access to all themes and plugins, the usage right on unlimited websites, regular updates, and premium support. Priced at a one-time payment of $249, this package provides lifetime access to all themes and plugins, support, update, and unlimited website usage. Being such an incredibly popular theme, there are hundreds of websites built with Divi. It was a challenge to find the best ones out of these. However, I have made a list of some eye-catching websites that are made with Divi. Like every WordPress theme, Divi Theme has some cons too. Let's check the pros and cons of using Divi Theme. Divi can be used to create any type of website. The Divi Builder allows you to create any type of layout. Lots of ready-made layouts and demo designs. The visual page builder supports live front-end editing. Secure theme coding certified by Sucuri. Already translated into 32 languages. The layouts won’t work if you deactivate Divi. It may take a while to understand all the features. As Divi is one of a kind, it is very hard to find a suitable alternative to this theme. The closest Divi alternative I can think of is Thrive Themes 2.0. This is a fast, intuitive front-end editor from Thrive Themes. The content builder provides the true WYSIVROWYG experience, which means you can make live changes to your posts and pages. The drag-and-drop editor includes all the necessary elements to create different layouts. The fully responsive designs work perfectly on all screen sizes and resolutions. No, you have to be an Elegant Themes member to get the Divi theme. Yes, Divi is fully responsive and works great on all screen resolutions. No, the theme developers have taken special care to ensure a fast loading speed for the theme. Yes, Divi follows all the SEO best practices. Is Divi Theme Worth It? Yes, Divi is definitely worth a try, especially if you are a beginner. Can I use Divi with Another Theme? You can’t activate two themes at once. That means you can’t use Divi with another theme on a website at the same time. But you can use the Divi Builder plugin to enjoy most of its features on other themes. Divi offers so many features that it might take some time to get used to all the available options. But once you become familiar, you will find it a lot easier to create websites with Divi than the others. 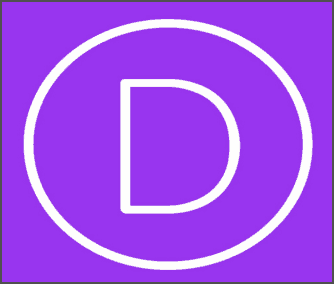 It doesn’t matter whether you are a beginner or a seasoned web developer, Divi will be my top recommendation for you. Don’t take my word for it, just t﻿ake it for a spin and see how it benefits you. Divi is a multipurpose WordPress theme which can be used to build any kind of website. It makes web designing insanely easier. Best post I have ever read about Divi Theme Review. I recommend everyone to read this article to know details about Divi Theme.